Leica makes some great lenses. They always have. Even their defunct Leica R series lenses are still working hard all around the world. It would almost seem that Leica is incapable of making low quality products. I just finished our Cine-Mod on a Leica APO-Macro-Elmarit-R 1:2.8/100, or as I like to call it, a Leica 100mm Macro. This lens performs like a dream for motion picture applications. It’s close focus is 2.5′ from the film plane which puts objects about 1.8′ from the front of the lens. Keep in mind, this is 100mm. It’s not THAT close considering the Zeiss ZF.2 100mm f/2.0 cranks all the way down to 18″ from the film plane which is about 8″ in front of the lens. The only draw back, which both the Leica and the Zeiss exhibit, is the massive amount of telescoping from infinity to close focus. 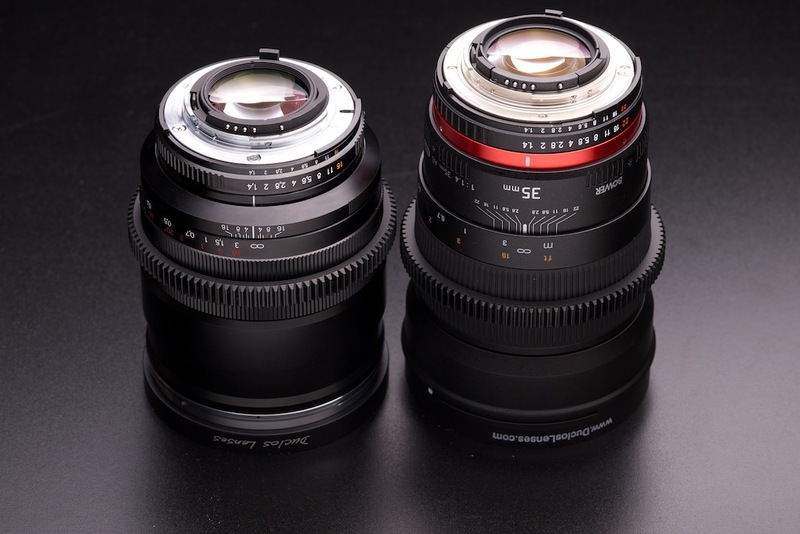 Both lenses go from a modest 5″ length to a maximum of about 7″ at close focus. Still, Leica made some amazing glass that still does it’s job quite well.